We definitely don’t eat enough fish, and I have no idea why. Everyone in my family loves fish; it’s just not something that I think about when planning my weekly suppers. I guess the reason is that I like to buy fresh salmon that I cook in aluminium foil either on the Grill or in the oven (see my recipe HERE). But since we live 20 minutes from the store I rarely make a trip, just for fresh fish. I went to Costco the other day, and the pack of frozen fillet of sole was on special. I decided to buy it and give it a try. I’m glad I did, because it was delicious. Not only delicious, but quick and easy to prepare. 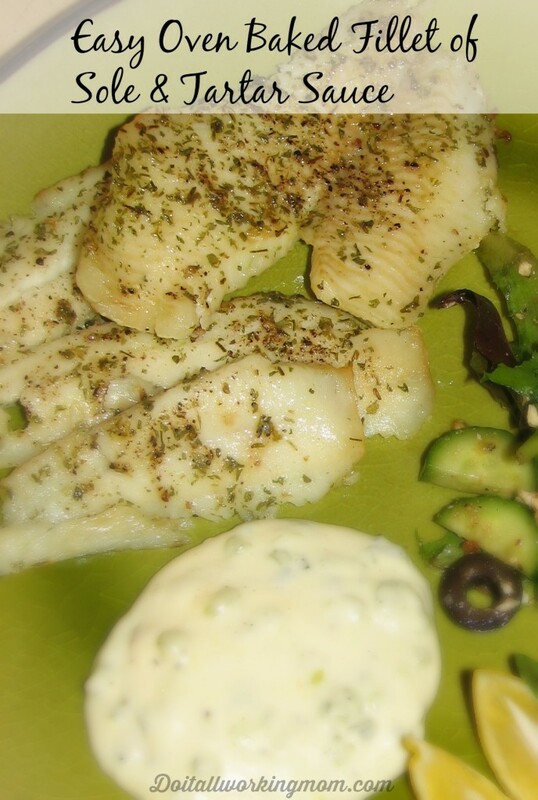 So I’m sharing with you today my Easy Oven Baked Fillet of Sole and Tartar Sauce Recipe. Line a baking sheet with aluminium paper, then parchment paper. Place the unthawed fillet of sole on the parchment paper. 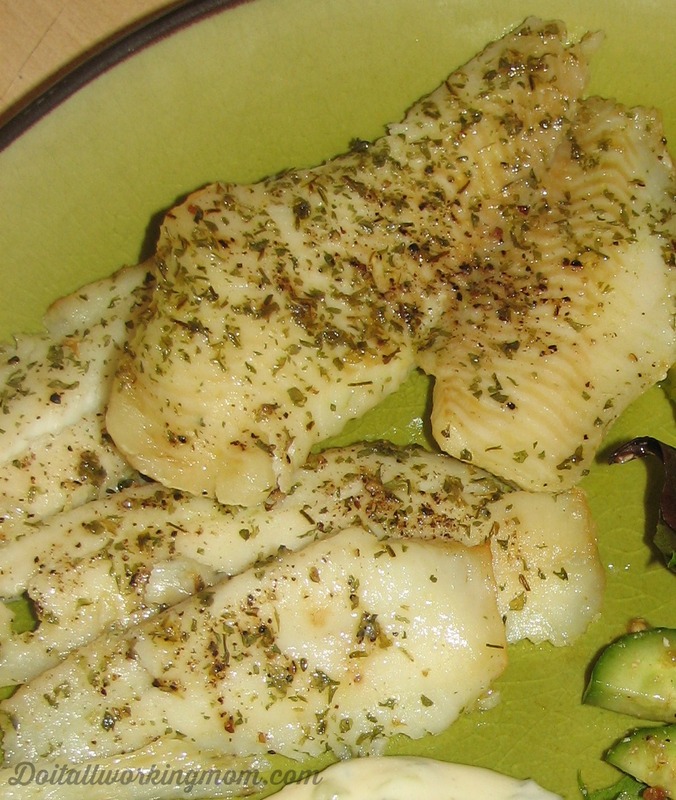 Sprinkle olive oil, dried parley, salt and pepper over the fillet of sole. Cook in a preheated 450 F oven for 10 minutes. Mix together the ingredients and serve with the fillet of sole.